Karma as a concept has earned an interesting place in the Western milieu Interestingly enough every time I hear someone mention karma they are usually pissed off and hoping somebody "gets what they deserve" or singing that Boy George song, (which incidentally makes no sense to me on any level). 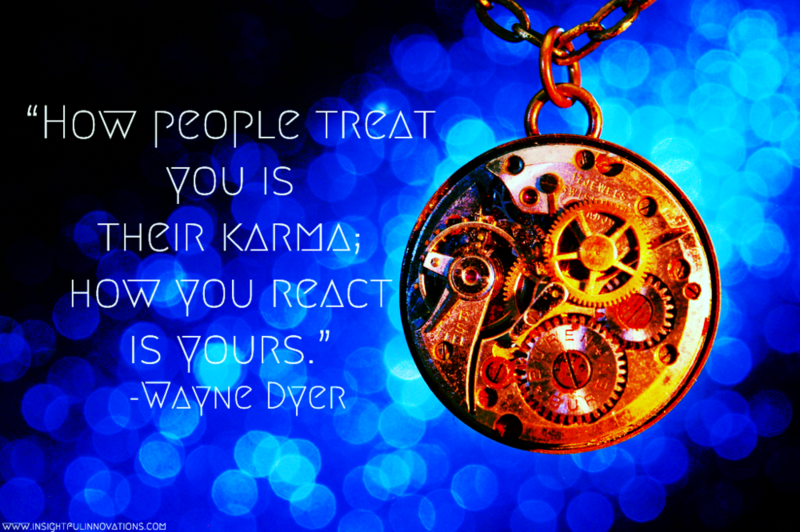 And while an aspect of karma involves people "getting what they deserve" it goes much deeper than that. Karma's original meaning has been largely lost in the West leaving a poor remnant of its true implications. It is a complex topic and one that goes far beyond the scope of this post. However, I'm going to do my best to address some misconceptions about karma.